If they think your news is interesting and relevant (Which I will ENSURE), they will share your story with their own audiences. This will lead to more traffic to your own website, and an increase in original, relevant links to your site, increasing your site’s search ranking, more traffic and more sales and profits. I will check out your site, product or event (or any online property) you supplied to get across to millions of daily readers. You will receive an advanced draft copy, so you can see your release and you can notify me about the changes required. *Guaranteed Submissions - a detailed report that contains exactly where your links have been submitted and published. To make your business flourish you need the right kind of noise and I will deliver it only for $12. 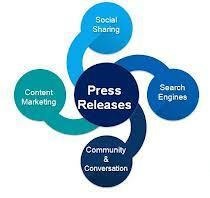 write a KILLER press release is ranked 5 out of 5. Based on 5 user reviews.